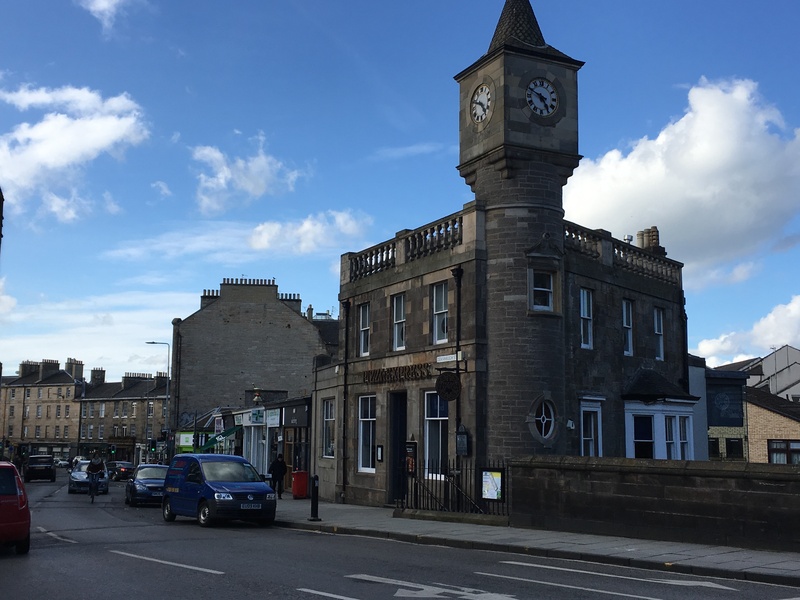 If you are in need of a Locksmith for Stockbridge and the Newtown there really is only one local Locksmiths. Many "Edinburgh Locksmiths" are pretenders claiming to be City center based in locations such as Hanover St, Rose St and even Princes St. It doesn't take long to ascertain they are not operating from these locations. In fact many of these pretenders are not even in Edinburgh. So their response times are pure fiction. But once they have you hooked then come the excuses for delay. We even had a case of a lady locked in her flat for 8 hours when she called the company (which happened to be a call center) to find out why they had not honoured the 30 minute response time she was continually fobbed off with excuses. She eventually called Albany Locksmiths and we had the problem sorted within 20 minutes. Google finally caught onto these practices and in the summer of 2017 removed all the false addresses from these companies Google place page(maps). 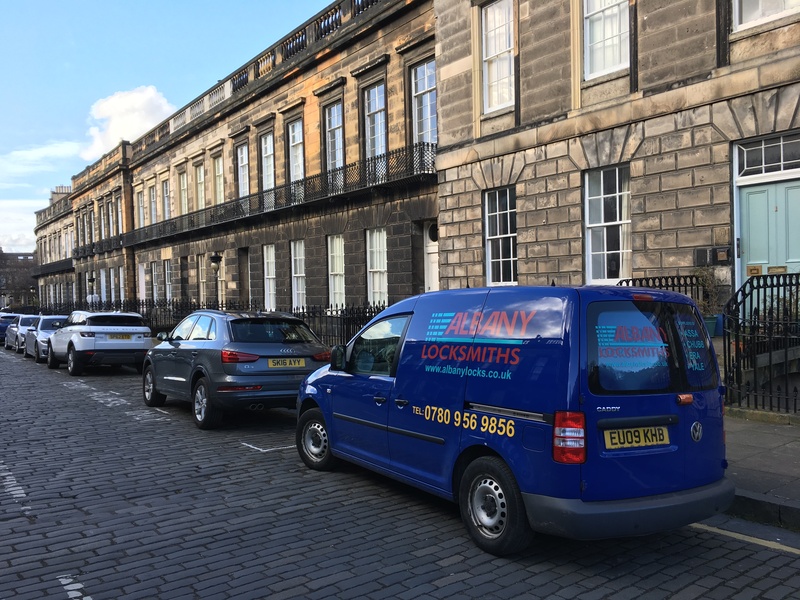 So if you search on google For Locksmith Edinburgh and go to maps, If the company address is listed as just Edinburgh, you'll know this company could be operating form outside the City. In some cases we've seen "Edinburgh Locksmiths" operating from Glenrothes, Peebles and Bathgate. If you want a Local independent locksmith it makes sense to spend a few minutes to find out where they are. If they are hiding there address what else are that hiding? Yale night latch lockouts- while very common problem with among residential properties a lot of the commercial properties in this area have old wooden or storm doors. Problems caused by old worn locks, snib drop or forgetfulness. - St Stephens St, Raeburn place, Comely bank etc, etc. Lock changes due to break-ins- Sadly burglary is an increasing problem affecting all regions of Edinburgh, Fife and the Lothians. Thief's are opportunists on the lookout for properties that appear to have a low level of security. Remember Insurance companies love British Standard Mortice locks and thief's hate them. Checkout our Free security advice page. - Craigleith hill, Cheyne St, Drumsheugh Gardens, Oxford Terrace Dean village. Repair Ancient Bathroom Lock - A callout to look at a bathroom lock in Heriot row resulted in a service of a 200 year old lock. When Edinburgh Newtown being built Blacksmiths made everything onsite. Gates, railings, hinges, nails and locks. The latch on this Lock was sticking and when I opened the Lock case I could see the basic mechanism was very old. Basic leaf springs instead of spirals and you could see screw and bolts had been hand made because of the of center flatblade slot. All that was needed was a clean, lubrication and reassemble. The lock is good for another two hundred years!